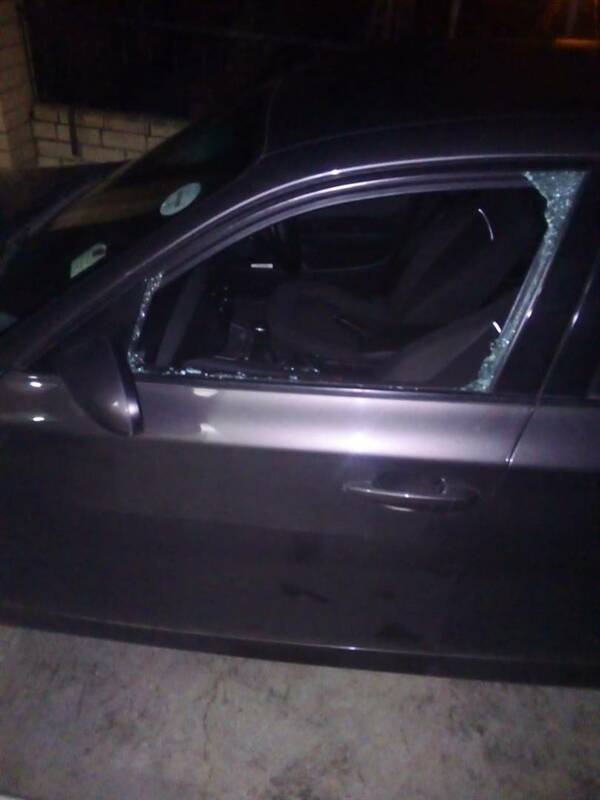 A woman who experienced a traumatic smash and grab incident on Wednesday evening has warned other motorists to take precautions and remain alert. Yurika Gopee, from Howick, said she was on her way to a prayer meeting on Sheffield Road at around 6.30 pm on Wednesday when she was ambushed by three men. She had stopped at a red robot on the N3 off-ramp onto Dr Chota Motala Road. “A man came towards my window and I assumed he was a beggar. I turned and saw that there was another man who was on the passenger side peeking through the closed window and there was a third guy towards the back of the car carrying a huge brick. “They smashed the passenger window and glass scattered all over the car. “My bag was on the car seat and the one man tried to grab it but I held on to it and tried to pull it back. I heard the other guy saying they will also take my rings and jewellery so I just let go of the bag and they ran off,” she said. Gopee said the ordeal lasted for a few seconds to a minute and it was still light and at peak traffic. “My car was on the middle lane and I’m sure the other motorists saw what was happening but no one intervened. “I have a few cuts and grazes from when the window was smashed but I think I’m okay,” said Gopee. She said she was still not entirely comfortable with driving alone following the incident. “I normally give beggars some loose change if I have any, but I don’t think I will still do that. “I also advise other motorists to always keep their eyes open and to never leave their valuables lying visibly in the car even if the doors are locked. From now on I will be putting my bag in the boot,” she said. Gopee is now in the process of replacing her bank cards, which were stolen with her bag and also has to re-apply for a new driver’s licence and an ID. Warrant Officer Joshua Maistry, acting spokesperson for Mountain Rise police station, said a case of malicious damage to property and theft out of a motor vehicle was opened. Maistry said two Msunduzi Safe City surveillance cameras were recently installed in the area. He said the surveillance footage will help police in identifying and arresting the perpetrators.